Edge IT is more critical than ever as data, applications and services are becoming more distributed but increasingly add cost, risk and complexity for Infrastructure teams. With most of the business being conducted at remote and branch office locations, and more than half of enterprise employees working at these locations (with little or no IT support), having additional ROBO-based solutions that meet your organizational needs become even more critical. With the additional flexibility in this release, organizations and service providers are able to achieve a software-defined edge approach to data storage in multiple ways including leveraging traditional on-prem data center, private cloud, direct public cloud with IBM, or any combination of these. Many customers have deployed SteelFusion Edge as a dedicated Riverbed appliance, and, while it would be ideal to customize an appliance specific to the needs of every remote office profile, that’s not practical. 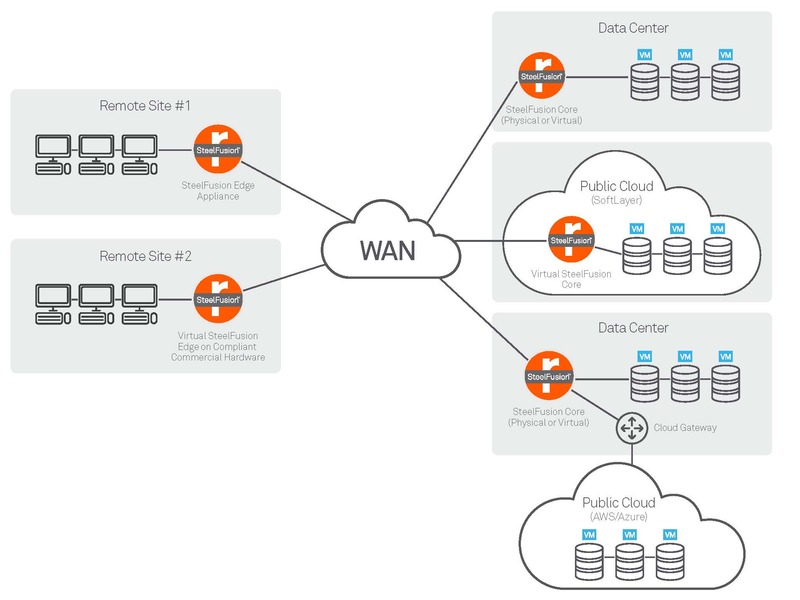 The Virtual SteelFusion Edge runs SteelFusion Edge software on compliant commercially available hardware through a select Riverbed partners, including Avnet. Your Edge system can meet size, weight, and power restrictions—so you can have a solution in which you vertically mount the server, fit it in a half rack, or install it in far more mobile locations, such as the trunk of a police patrol car or on a cruise ship. With the cloud and digital era in full swing, these SteelFusion additional capabilities, along with other Riverbed technologies, play a key role in accelerating a software defined approach IT solutions. For more information on SteelFusion, visit here.